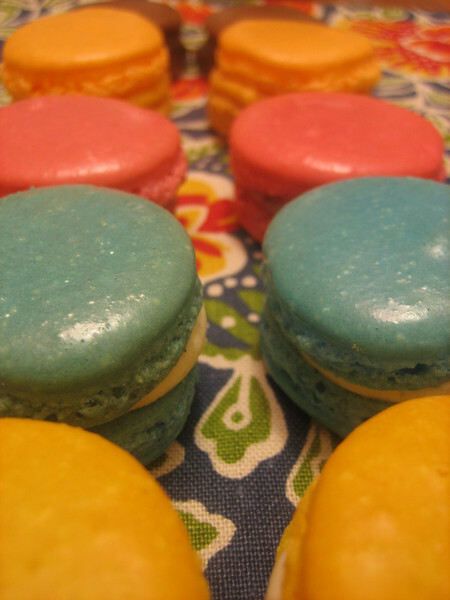 French macarons are the Jordan Catalano of cookies. They’re beautiful and rather elusive. And that makes you want them. Pine for them. So get you to know them a little. And they shine their special brightness on you a bit which you like. A lot. Then, in nearly the same breath, they treat you like crap. Which makes you like them even more. Sure, you court. However, unfulfilled expectation becomes the hallmark of your relationship. Before you know it, you find that you’ve been strung along, nourished only by the occasional favor of a half vacant smile or frilly foot. Wait…we are talking about cookies right? We all have our Jordan Catalanos both in real life and in pursuit of making good things to eat. I just spent a weekend with mine. 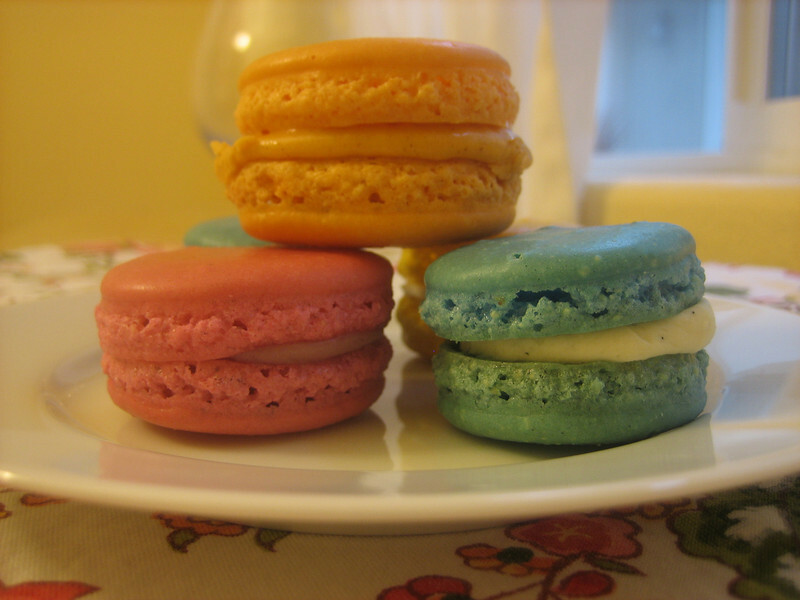 There are quite a few pretty awesome primers, 101s and FAQs on French macarons. Tartelette and Not So Humble Pie are incredibly useful and gorgeous to look at. 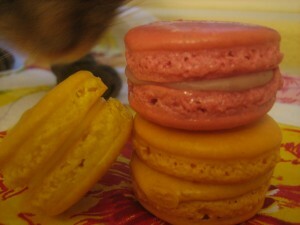 As such, I’m not going to go into painful detail here on how to successfully master the French macaron. Besides, to do that would mean that I’ve mastered the little buggers. Which, I have most definitely not. Instead, let’s pretend just for this post that I am Angela Chase and you are Rayanne Graff or Rickie Vasquez and I’m gossiping/venting/ fantasizing to you about Jordan. 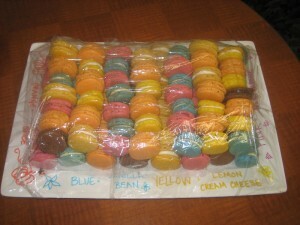 I mean macarons. Lets start at the beginning. 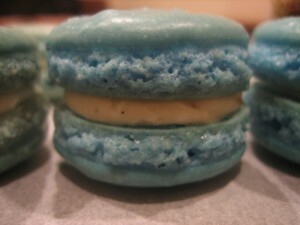 Almond flour is the basis of the macaron shell. I ground my own in the food processor and then, under the advice of several recipes, sifted it. Here we see the unsifted stuff. And here it is sifted. While it is certainly more aesthetically uniform, I really don’t think it made a difference to sift at this stage. Then there are the egg whites. The consensus is that they need to be aged. Some say 24 hours. Some say five or six days. So I did both. I separated-out three dozen egg whites, covered them and let them sit in the fridge for several days. 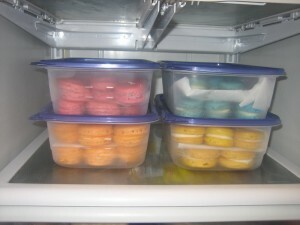 Then, 24 hours before I was to make the shells, I pulled them out of the fridge and let them sit. While I realize this sounds gross, consider that many countries do not bother to refrigerate their eggs at all. My understanding is that aging the whites dries them out a bit. Makes sense I suppose. However, About 12 hours into my little adventure, I ran out of aged egg whites and, gasp, used some fresh ones. You know what? They worked just fine. Now let’s talk a bit about the meringue. I think I got it right. You don’t want it too sloppy and you don’t want it to break. Check. Some recipes tell you to add the meringue to the dry ingredients while other tell you to do the exact opposite. 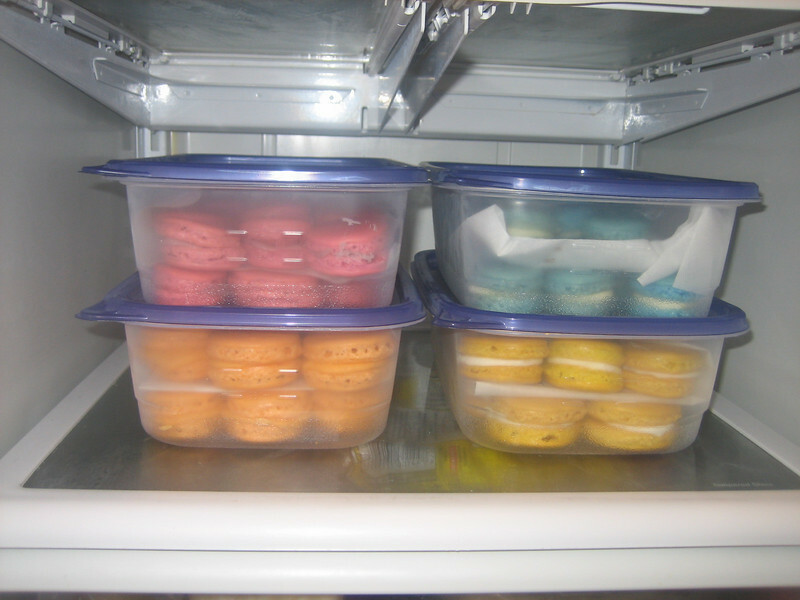 Since meringue is delicate stuff, I went with the latter and added it in three stages. One really great tip I did pick up was to test the batter along the way. Batter that doesn’t spread slightly needs a few more folds. Batter that spreads to quickly has been over folded and you are pretty much out of luck. 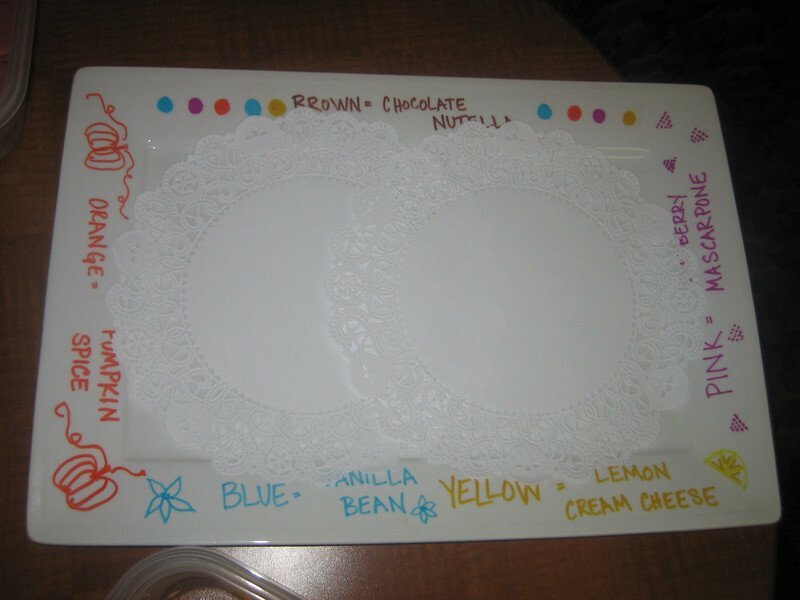 Since I’m not exactly a pro with the pastry bag, I actually drew the recommended 1.5” circles on a dozen sheets of parchment (you then flip it over and use the un-marked side). While this gave me some confidence in my spherical shaping task, I eventually ran out of the pre-drawn sheets and the resulting disks were no less round than the traced ones. Next up in the macaron lore is the aging of the batter before it goes into the oven. Several recipes agree that 30 to 60 minutes is good. While I agree that about 30 minutes is good, the weather that weekend was so dry that anything aged longer cooked lopsided—as if the feet got stuck. If the macaron flow chart wasn’t sufficiently complicated at this point, there is also the issue of how hot the oven should be. The recipes I looked at ranged from 280 degrees to 350. Seventy degrees is a substantial swing, particularly for something so purportedly picky. I stuck in the middle at 300 and double panned each batch. 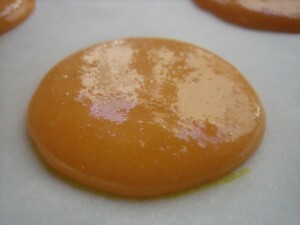 That is, until the batch that I forgot to double pan came out much cleaner than the ones before. Then it was single pans going forward. Between batches that cracked, stuck to the parchment, didn’t raise, raised too much and just plain decided not to be circles, my success rate was about 50%. And we haven’t even gotten to the filling yet. I made the shells on a Saturday but didn’t need the cookies until the next Thursday and so into the freezer (very carefully) they went. 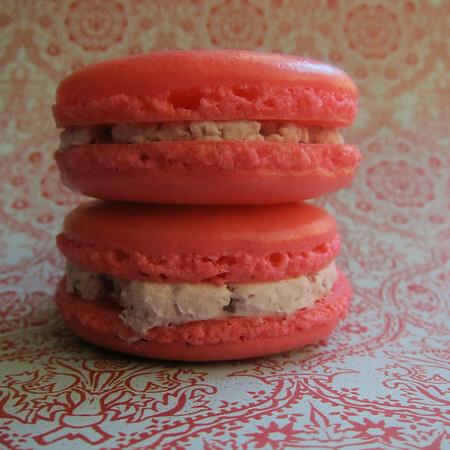 The beauty of macarons is that you can fill them with anything. However, as is true with teenaged relationships, some fillings are more stable than others. While delightful on the palate, by the time I went to serve the raspberry mascarpone macarons, the liquid in the filling had turned the cookie nearly to mush. 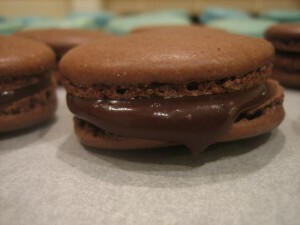 The shells with the cream cheese and ganache fillings held up much better. 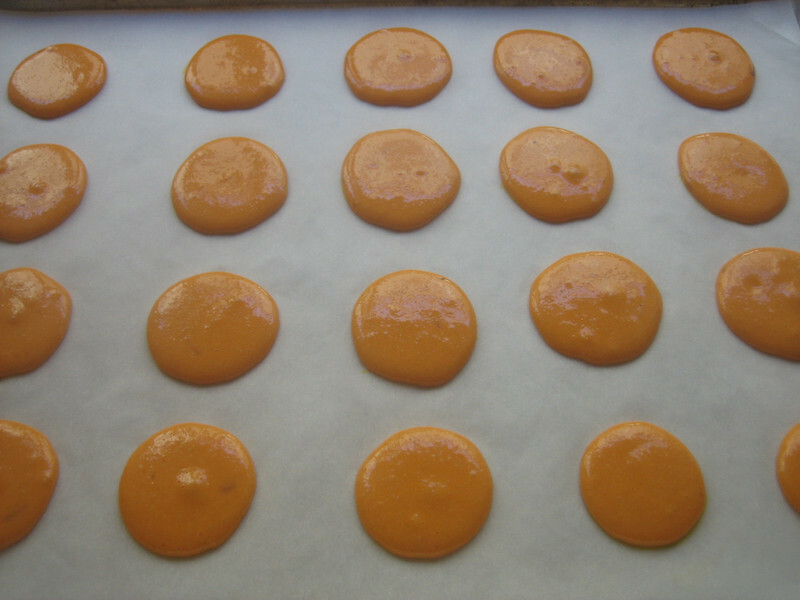 When you go to fill the macarons, match up and lay-out each of the shells in advance. I also suggest chilling the filling a bit, this will make it cleaner to distribute. And prettier in the cookie. I obviously did not do this with the chocolate. I read in a couple of places that macarons like to rest a day or two before serving. So I did just that. And I think it worked well. Not wanting to waste the hundred or so that turned out, I brought them in to work for our annual Thanksgiving Potluck. We’re supposed to label our dishes so everyone knows what they are eating. I’m good at following instructions. 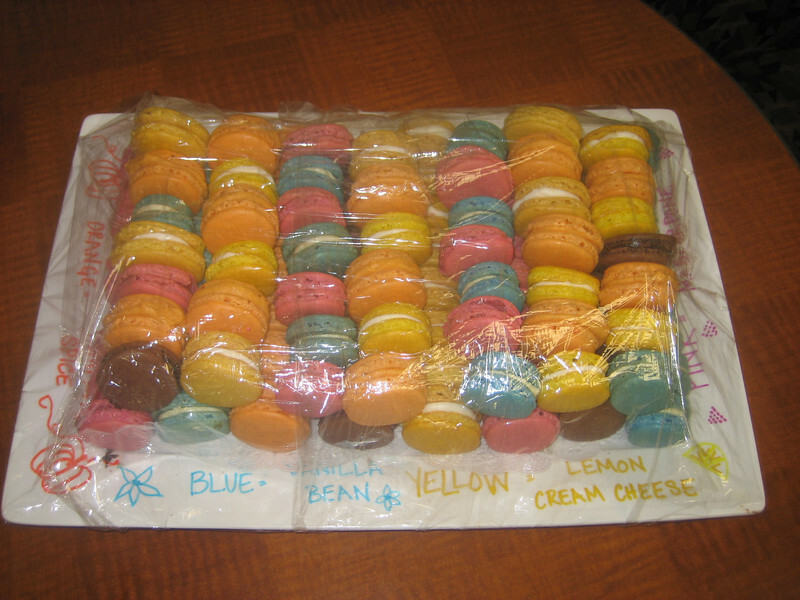 Unfortunately, I got all wrapped up in arranging the macarons and forgot to take pictures before I, well, wrapped them up–which leaves us with a fairly unsatisfactory final shot. Oh wait…let’s end with this one. Can you guess what the blur is? My work here is obviously not done as I still haven’t figured out how to get more than 50% consistency. 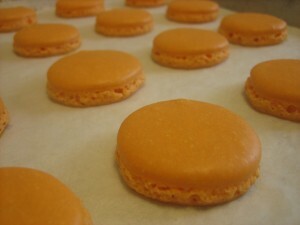 However, I will have a couple more opportunities in the coming weeks with gingerbread and an egg nog macaron attempts. The recipe for the chocolate macarons can be found here: Chocolate Macarons. The following is the basic macaron recipe I used for the other flavors. All credit goes to Tartlette. For me, this recipe yields about 40 1.5″ shells. Preheat oven to 300 degrees, position rack in the middle of the oven. Either age the whites or don’t, just make sure they are at room temp. before you begin. 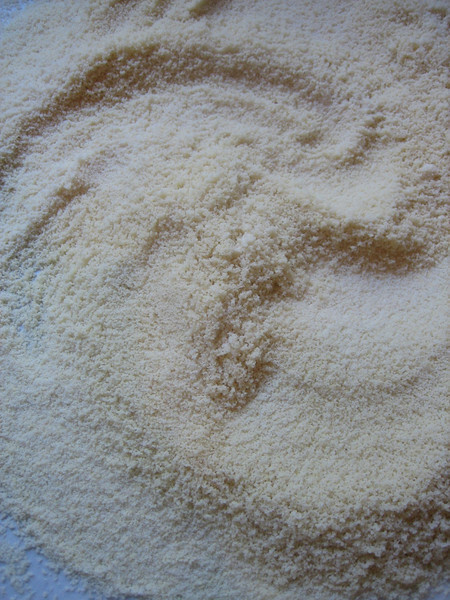 Grind together confectioner’s sugar and ground almonds in the food processor until fine. Sift into a large bowl and throw out what remains in the sifter (this is why I’ve upped the almond amount just slightly). 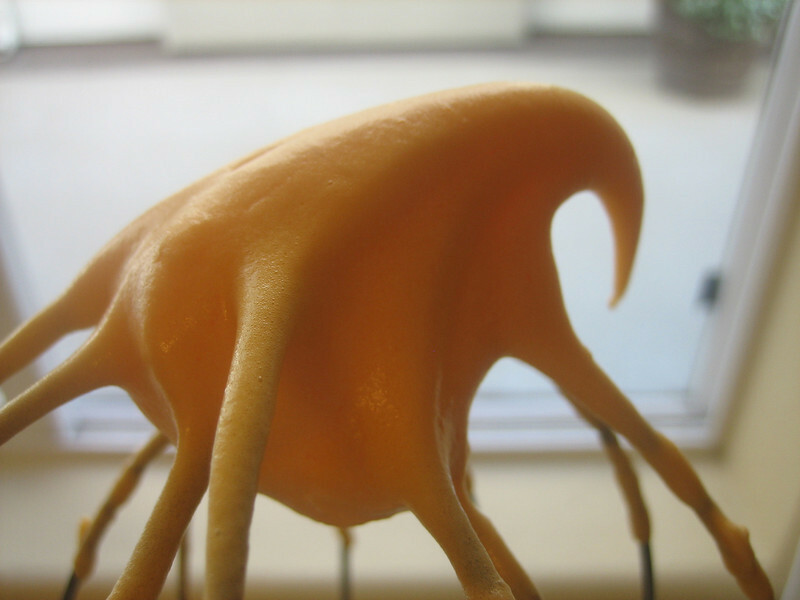 Meanwhile, in a standing mixer with the whisk attachment, whip egg whites on low until frothy. Add in food coloring if desired. 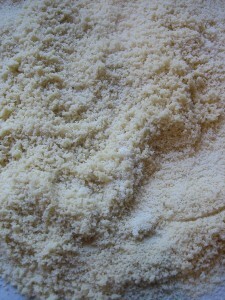 Once egg whites are frothy, increase whisk speed and gradually add in granulated sugar. Meringue is ready when it will hold a peak. In three parts, gently fold the flour mixture into the meringue. 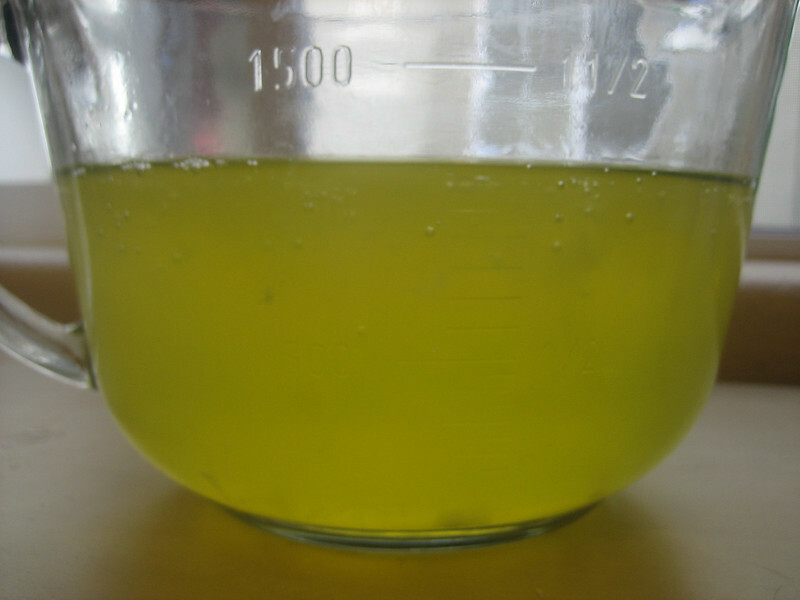 Just when the dry ingredients are combined, begin testing the mixture–I use a teaspoon and clean plate. The batter should flow like magma and when tested, spread gently. If it keeps its shape, give it a couple more folds. Fill a pastry bag (or large zip lock) with batter and pipe onto a parchment covered half-sheet. Let sit 30-60 minutes if desired (more if you are in a humid environment). And then, into the oven they go for about 10 minutes. At this point, begin checking for doneness by slightly giggling pan. 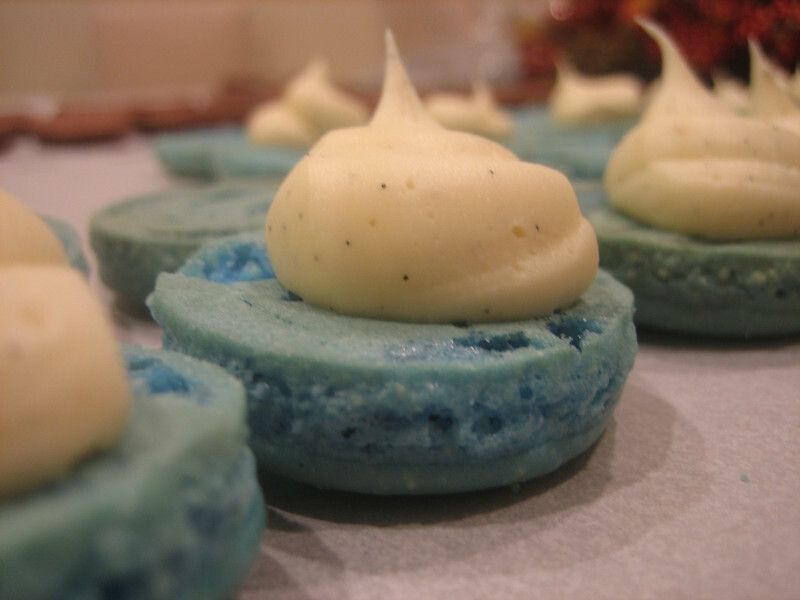 Shells are done when the meringue does not shift. Remove from oven, let cool slightly and remove from parchment. Can be stored in freezer for several days. When you are ready to fill, your choices are nearly unlimited. I’ve included links to the recipes I used here.